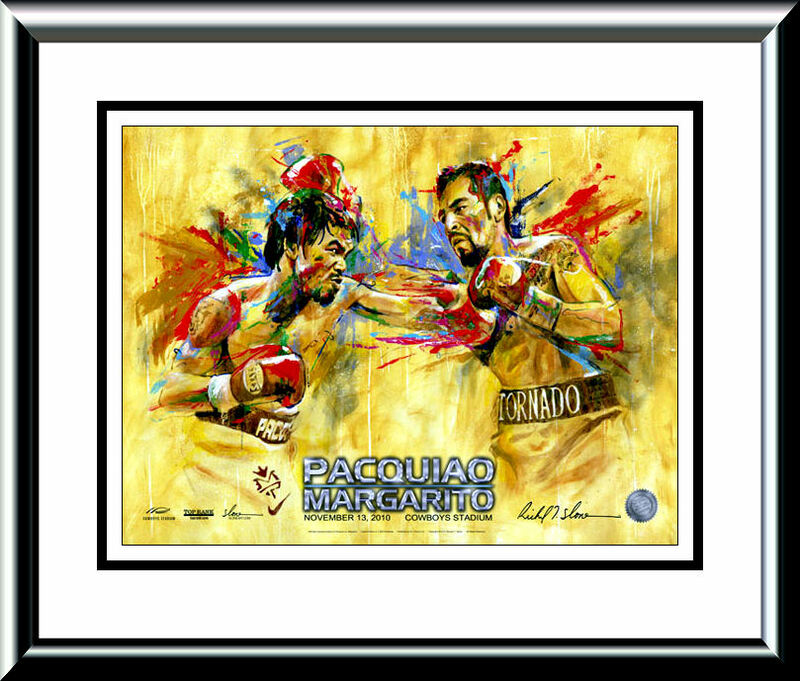 Description : Official Slone art limited edition commissioned onsite poster from the showdown at the Dallas Cowboys Stadium, Texas for the WBC Super/Welterweight Title. 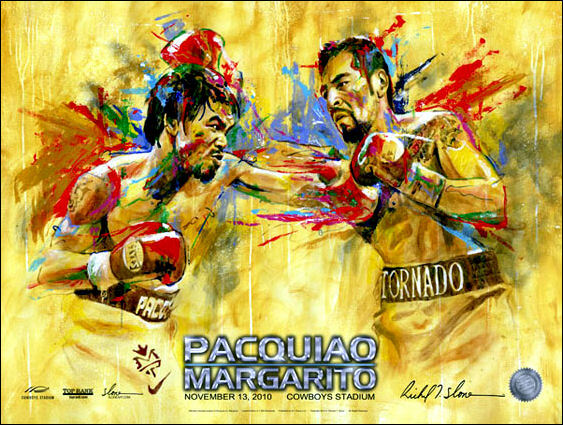 In the fight, Pacquiao defeated Margarito via unanimous decision, using his superior handspeed and movement to win his 8th world title in as many divisions. 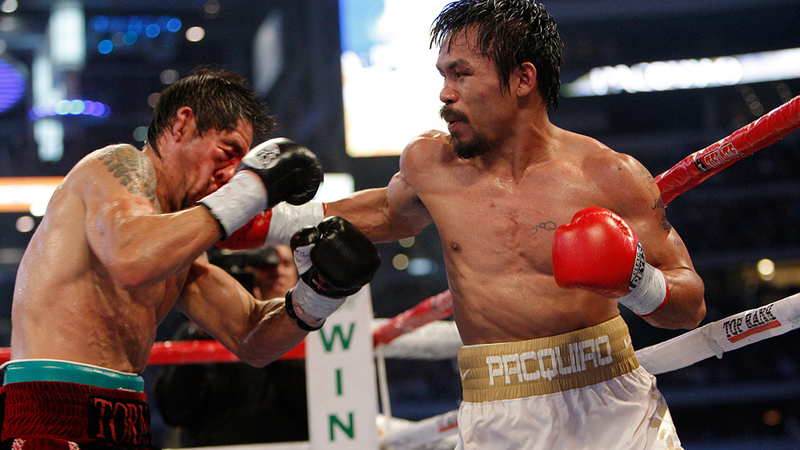 In the penultimate round, Pacquiao implored referee Laurence Cole several times to stop the fight as Margarito had a swollen face and a large cut beneath the right eye, but the referee let the fight continue. Margarito had to be taken directly to the hospital after the fight, where it was discovered his orbital bone had been fractured; he had to undergo surgery.